This week’s comedian zens out as a full-time massage therapist so she can focus her energy on writing the perfect punch line! What do you do when a show comes up? Working for myself as a massage therapist has given me a very flexible schedule so when I’m booked for a show, I make sure to keep that night open. Have you ever felt like your side hustle was in jeopardy because of comedy? It has been challenging to balance both. In essence, it has been building two businesses at once. On the massage therapy side, it’s building a repeat clientele and being sure I give enough massages to earn what I need to live. If I am not massaging, I don’t earn. It’s much different than living on a fixed income. It really is a hustle. If I haven’t given as many massages that month, it does affect the comedy because I take energy away from writing and performing to focus on earning. How long did it take you to feel like you had security at this side hustle, even if you took time off for a show? I have been working as a massage therapist for five years, so I already had the basics down before I went into comedy. Massage therapy has been consistently inconsistent. I absolutely earn enough to meet my needs, but there’s a constant pressure to book more work. On the flip side, there is always more work to book. I do some work as an independent contractor for a hotel and that relieves some of the pressure. For those jobs, I just show up, give the massage, and get paid. What skills or talents did you need for this side hustle? Patience, perseverance, and people skills. Learning to give a massage is challenging. I spent many years working in high-end spas in the city. Like comedy, massage therapy is dynamic. 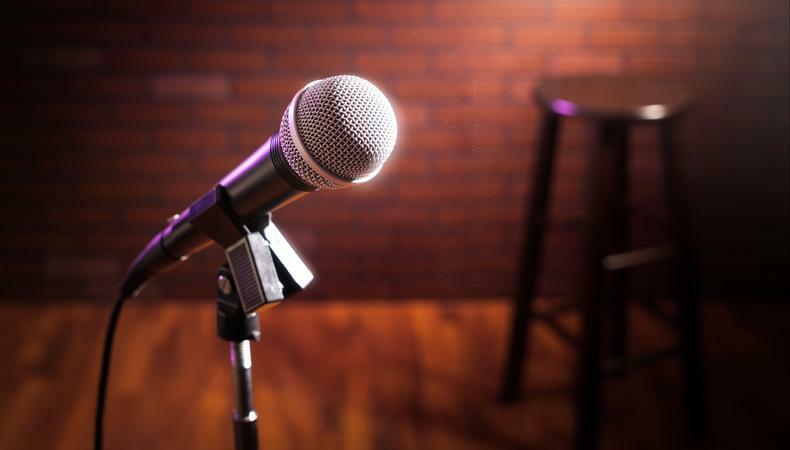 Stand-up comedy doesn’t happen without an audience, there’s real-time feedback. Giving massage also is dynamic: there’s real-time feedback and in both, I have to adjust and change accordingly in order to succeed. How long did it take you to qualify or complete training for your side hustle? It took me three-and-a-half years. I went to school part-time, but people who go full-time complete the program much faster. How does this side hustle fulfill you? It’s great because giving massages can be meditative. It has made me more sensitive to people’s needs, and a better judge of unspoken communication, which in turn helps with performing stand-up comedy and reading a room. People also feel really good after, which is how I hope people feel after my stand-up sets. Do you feel like you’re helping people/society/humanity in a tangible way? I do. I think as a whole we need to relax, especially in NYC. We move so fast and life can pass us by as we rush from thing to thing. Massage slows everything down. It brings people’s awareness back into the body, like, “Oh, I enjoy living in my body. It’s actually comfortable in here. I feel safe.” That perspective allows us to enjoy what’s right in front of us instead of jumping to the future or ruminating on the past. Massage is an experience that has the capacity to bring a person back to the present. Joy lives in the present. Has your side hustle made you better at comedy or achieving your comedy goals? Absolutely. Learning to give a massage was not easy and stand-up comedy is not easy. The main thing I have heard since starting stand-up is “keep getting up.” You bomb, you get up again. There’s no secret trick or shortcut to being funny and finding my voice on stage. I have to keep working, keep going. Same with massage. Nobody can give the massage for me. I have to do it over and over again. I have to learn. Both professions require the willingness to be terrible and make mistakes, and the courage and clarity to learn from them in order to improve. Why did you choose to do this side hustle instead of more stereotypical acting side hustles like serving? I served for over 10 years. It was time to move away from the restaurant industry. Both jobs can take a toll on the body, but the spa environment is much more gentle than the bar environment. Do you have any advice for comedians who aren’t sure what path to take while they are waiting for comedy to pay all the bills? My suggestion is to do a job or profession you enjoy and that you earn enough to meet your needs, and then some. That takes the pressure off waiting to hit it big in the entertainment industry. For me, I want to be able to enjoy stand-up while I’m doing it, and if I’m looking for stand-up to pay my bills and put money into my retirement fund right out the gate, that takes the joy out of learning. Also, in stand-up, they say it takes at least 10 years for you to know what you’re doing. That would be a long time waiting tables, so I might as well do something I enjoy along the way. 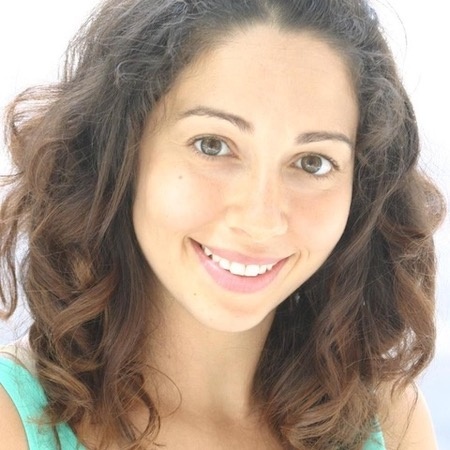 Linnea Sage is an actor, voice-over artist, writer, and producer in NYC. She currently stars in the comedy series “WILDCATS” on the Fullscreen Network, as well as voicing superheroes in the Marvel video game, Avengers Academy. Follow her @LinneaSage on Twitter and @Linnayeahhh on Instagram.